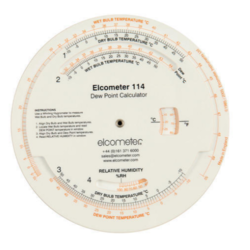 A comprehensive range of coating inspection equipment from surface profile & cleanliness to relative humidity, dewpoint, coating thickness and adhesion testing, Elcometer’s range of test equipment is ideal for all your industrial & protective coating inspection needs. 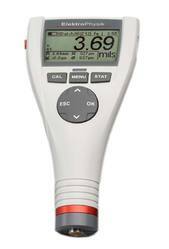 We offer a broad range of DFT meter coating thickness gauge electrometer, which contain 456 coating thickness gauges along with a basic menu screen option. These are available variety of combinations of top, standard and basic functionally along with a wide range of separate plug in probes and integral (built in) as per the needs of the application. Our range of product consit of the following range of separate probe options, plug in probes, gauge feature, standard, separate gauges, minature and integral gauges. 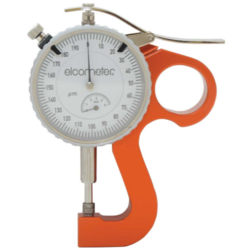 In the section of elcometer 456 range is explained as follow: Gauge feature Integral gauges Separate gauges Range of separate probe options Standard Minature Plug in probes Elcometer is a trademark of Elcometer Ltd., UK, registered in the UK and other countries. We are among the celebrated names in the industry for trading and distributing Coating Thickness Gauge. This gauge has earned us huge appreciations and loads of profits. It is used for measuring the thickness of non conducting materials on conducting surfaces. Being in sync with latest technology, it is digital and provides accurate measurement. 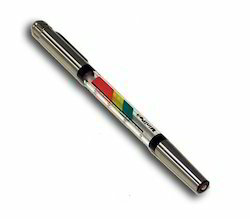 We are Leading distributor & trader of Pen Test Thickness Gauges in Chennai. Range Available is 50-500 µm and 2-20 mils. We are Leading distributor & trader of Coatest Thickness Gauges in chennai. Pull-Off Type with Cursor (For Vertical use only). Measures the thickness of Non-magnetic coating on magnetic base. As Plating: Gold, Copper, Zinc, Tin, Chromium, Hard Chromium, Lead etc. Range: 0 to 600 micron, 0 to 25 thou. Min. Area of Measurement: 10X10 mm. We are Leading supplier & trader of Mikro Test Thickness Gauges in chennai. 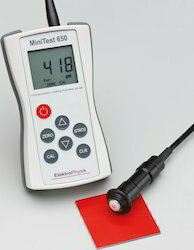 The MikroTest has been the most widely used coating thickness gauge in the world over the last 40 years. International patents and our production “know-how” ensure that the gauge has the highest technical standards of all analogue magnetic coating thickness gauges. We are Leading supplier & trader of Minitest 650 in Chennai. • For any non-magnetic coatings on steel such as paint, enamel, chrome, zinc, etc. • For any insulating coatings on non-ferrous metals such as paint, anodising, ceramics on aluminium, copper, zinc die-cast, brass, etc. Wear-resistant carbide metal tip Designed for durability and highprecision, MiniTest 650 is the ideal tool for any measuring task in the finishing industry. The rugged and easy-to-handle thickness gauge combines extended mechanical life on the one hand and high accuracy on the other hand to meet the requirements of any professional user in the shipbuilding, automotive, bridge building, construction or other industry. We are Leading supplier & trader of Minitest 70F in chennai. 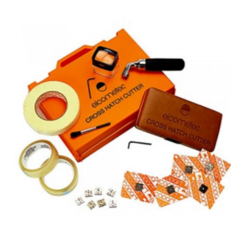 A quality range of cross hatch cutter elcometer is offered by us that help in immediate judgment of the quality of the bond to substrate. These are highly suitable for thick, thin or tough coatings on curved or flat surface because of its rugged construction and also for laboratory or field test. Is available in two versions. 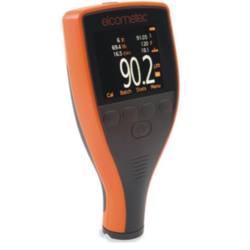 Elcometer is a trademark of Elcometer Ltd., UK, registered in the UK and other countries. We are a renowned manufacturer of an array of premium quality Indicating Micrometer. These micrometres are available with indicator reflecting the measurement of pitch diameter of parallelism measurements and precision screws. Our range of product is made using advance technology to serve the demand of various multi-national engineering industries. 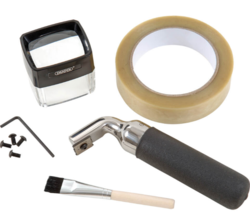 Applications - Used for checking diameter thickness of small components and checking the thickness of sheets, papers, cardboards on any type of flat sheets.